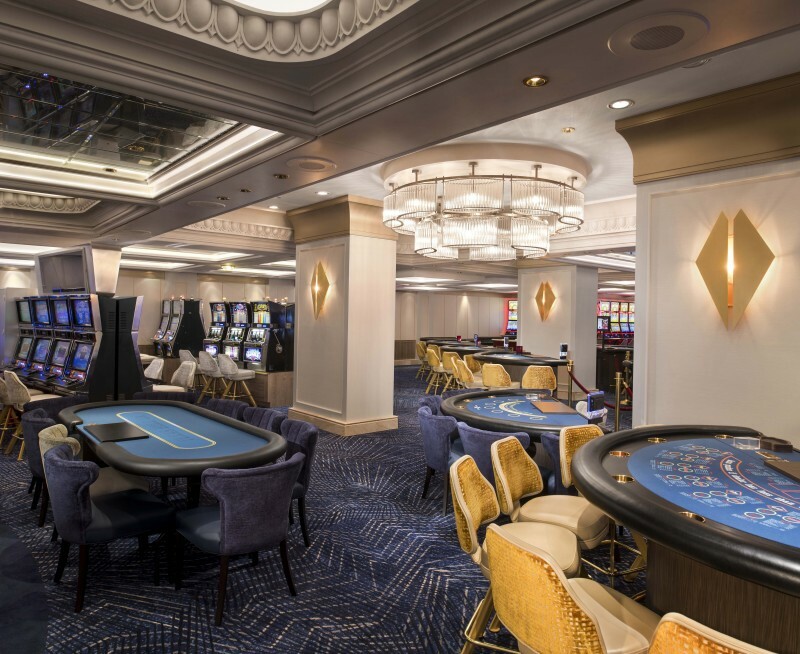 You decided you’re going to cruise on the newly renovated Celebrity Summit, but you’re probably wondering what to expect and which room and restaurants are best for you? 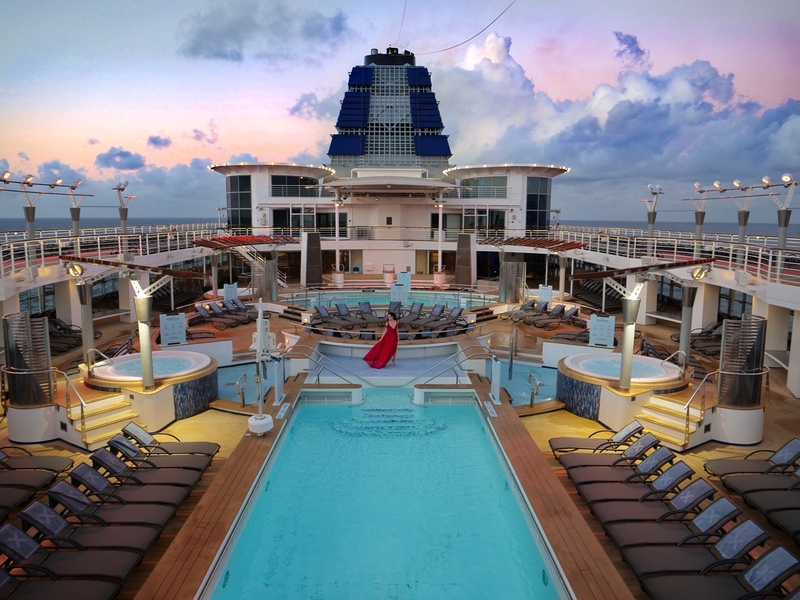 The Celebrity Revolution, $500-million fleet-wide modernization program, just brought the popular Celebrity Summit’s design and amenities closer to the newest ship, Celebrity Edge. 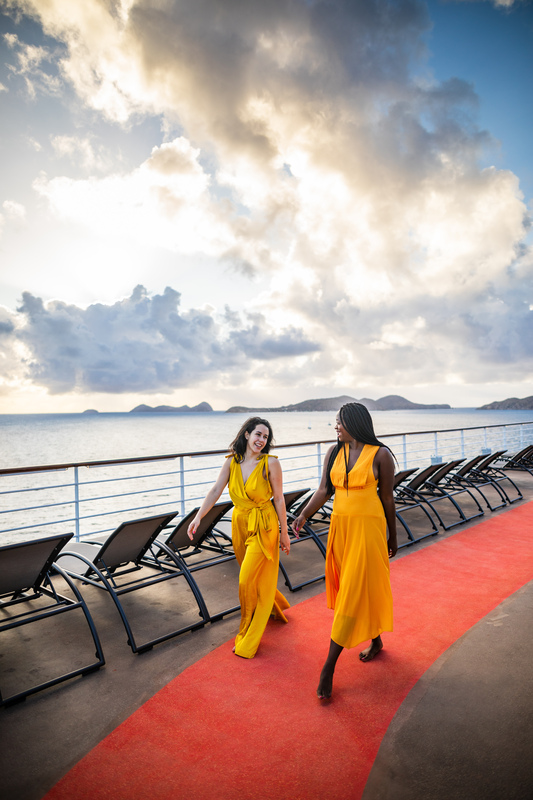 Celebrity Cruises has 15 ships in their fleet, each with different amenities and benefits. Choosing the right cruise ship and route is an important decision and one best made after knowing all the details. 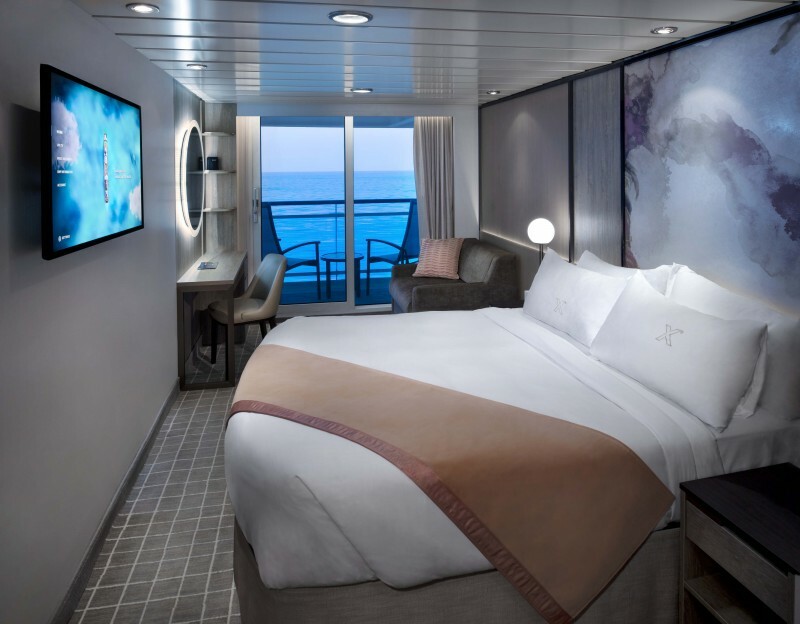 I attended the Celebrity Cruises press preview of new renovations to Celebrity Summit, with exclusive behind the scenes access to see all the rooms and even the tour the bridge. As always all opinions are my own. Did you know that the ship hosted Kate McCue, the first American woman to helm a cruise ship? She is now captain of the Celebrity Equinox and scheduled to be at the helm of the brand-new Celebrity Edge in September 2019. Kate dreamed of being a captain since she was 12 and went on a cruise with her family for Thanksgiving. She prides herself on being available to guests beyond just the captain’s table and she even travels with her cat, Bug Naked. 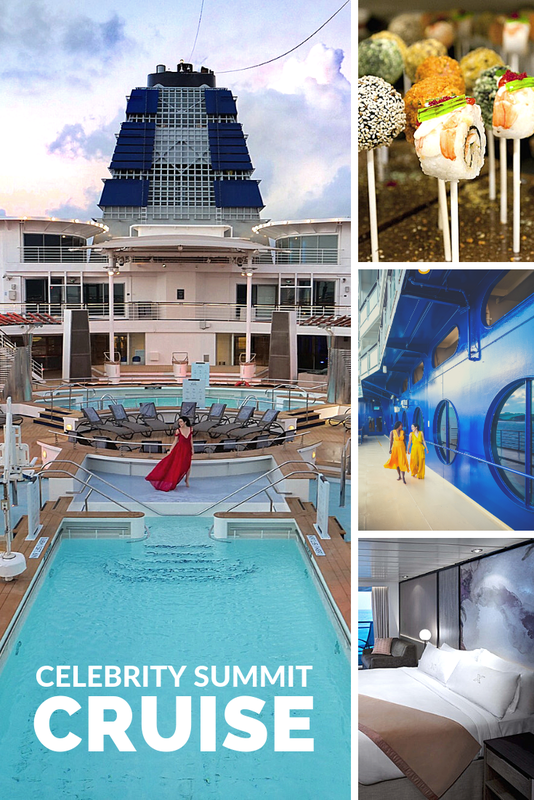 Which stateroom on the Celebrity Summit? 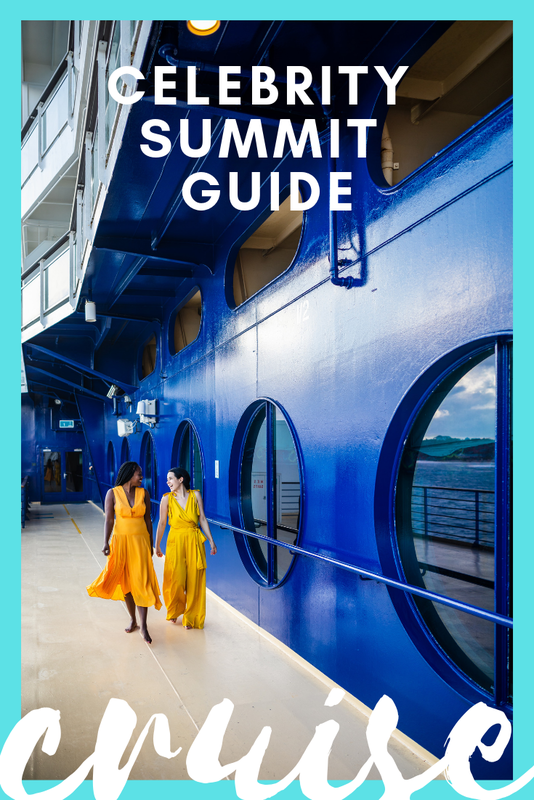 Which restaurants to eat at on the Celebrity Summit? The ship: Celebrity Summit is an established ship, built in 2001 to hold 2,218 passengers. It has 11 decks and a crew of 936 people. Its revolution date was March 23, 2019. Celebrity Revolution: The modern transformation took 31 days starting on February 17, 2019. It’s not only the design that has been updated, but amenities and activities have undergone updates too. 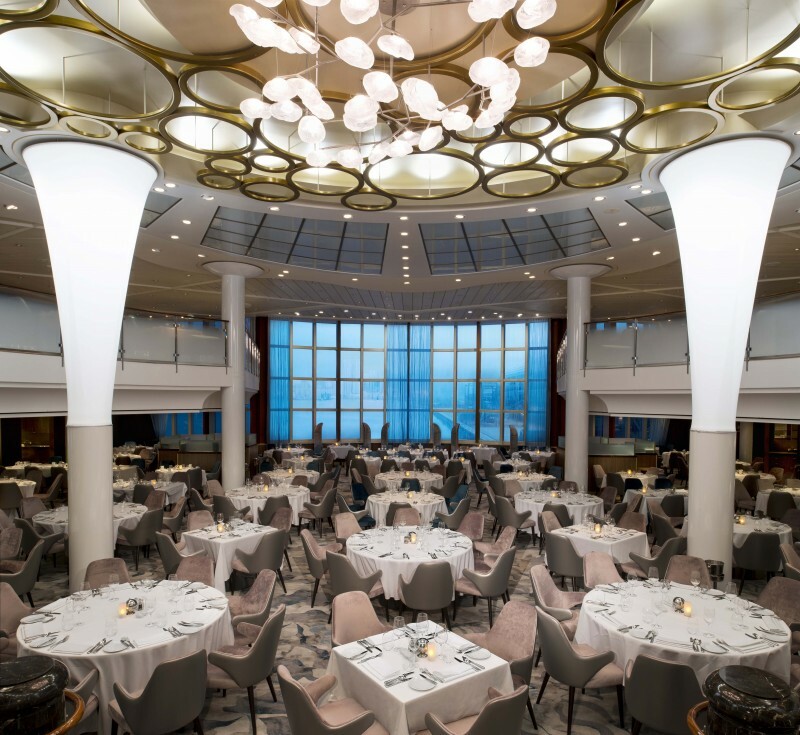 Celebrity Summit is one of the most popular ships in the fleet and is now the first to partner with the American Ballet Theatre and Chef Daniel Boulud. The American Ballet Theatre will bring the best classical dance experience on board for exclusive performances, intimate seminars and ballet barre classes with the dancers. I attended a barre class and loved how it was geared towards beginners but included moves and positions to delight all experience levels. Chef Daniel Boulud designed complimentary signature dishes for Luminae, the suite guests’ private dining experience. All guests have access to a Chef’s Table by Boulud with private galley tour and a five-course meal. Celebrity Summit sails from: Boston, Dublin, Fort Lauderdale (Port Everglades), Bayonne (Cape Liberty), San Diego and San Juan. It sails to Asia, Bermuda, Eastern Caribbean, Southern Caribbean, Panama Canal & Central America and Canada & New England. Check in online before arriving at the embarkation port to save time. Bring your passport as most routes will require it as identification. Check-in at the port went smoothly to get my SeaPass card. The Celebrity SeaPass is your stateroom key, identification card for reboarding the ship after exploring a port of call and your charge card for onboard purchases. Once you check in, there are a series of ramps and escalators to get on the boat. 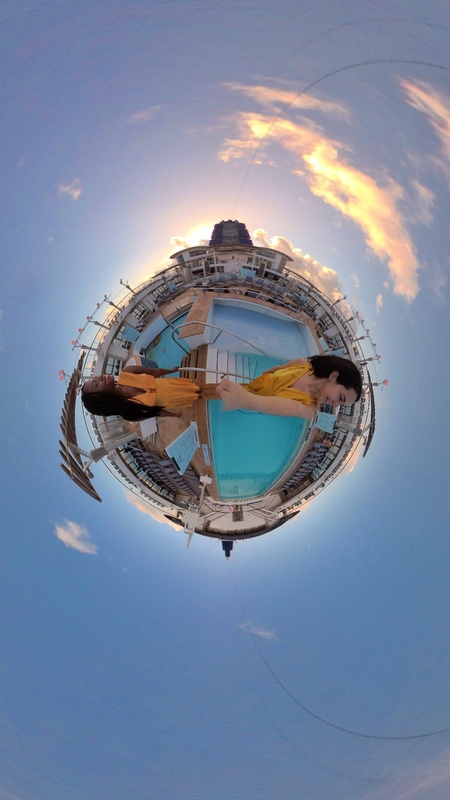 I stayed in a veranda stateroom and loved how spacious it felt and the design elements that made it feel like a luxury boutique hotel. The room provided soft robes, plenty of closet storage space with nice hangers and beautifully smelling bath products. Many people usually bring a special power strip (this one is great). However, I was happily surprised that there were plenty of plugs, I saw two plugs and two USB plugs (for your phone or some camera chargers) at every outlet. There was one built into the bed’s lamp and another at the desk, so I could theoretically charge 4 phones and 4 cameras at the same time if I needed! There were also two “shavers only” plugs in the ceiling of the bathroom. 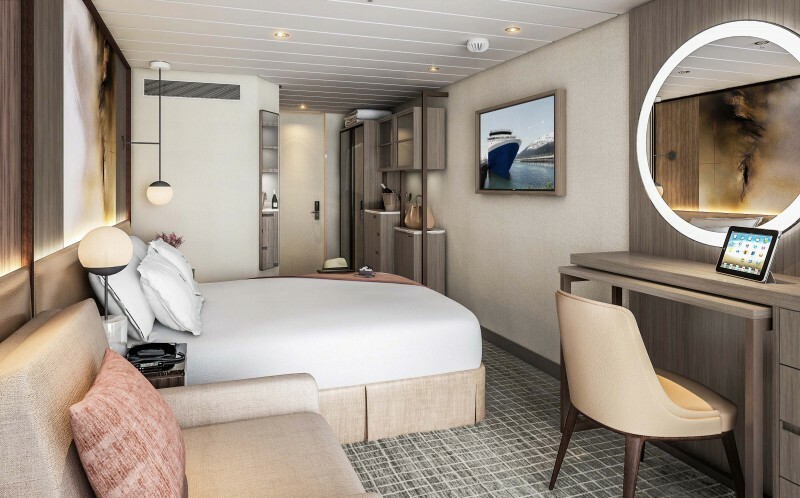 Each stateroom incorporates eXhale bedding on a luxurious cashmere mattress, redesigned marble-style bathrooms and more storage for you to unpack your things. 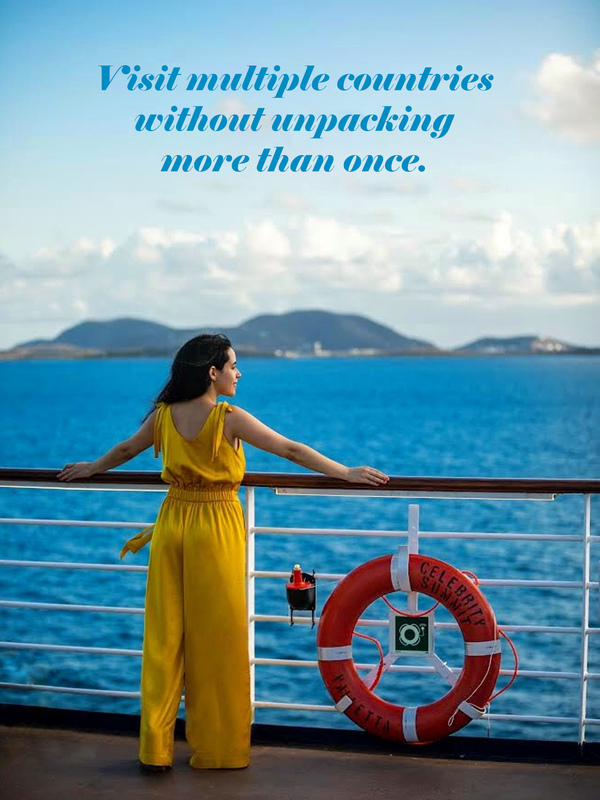 The best benefit of cruising must be that you can visit multiple countries or ports and only unpack your things once. 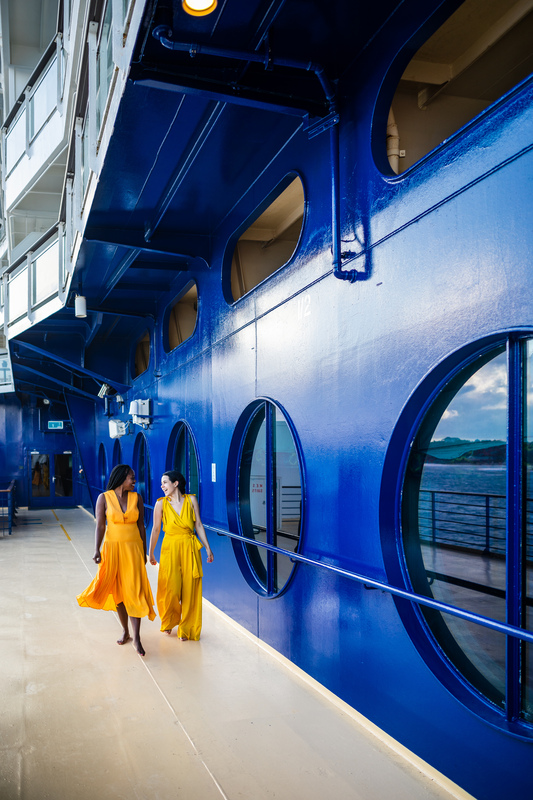 Suites provide celebrity treatment like a personal butler, sparkling wine welcome and priority service when it’s time to debark. All suite guests gain exclusive access to The Retreat Sundeck, The Retreat Lounge and the private suites restaurant, Luminae, where Chef Boulud designed signature dishes. Read more on the rooms here. The Spa, a luxurious sanctuary with Canyon Ranch at Sea, high-end boutique shopping, Fortunes Casino and to get in shipshape there is a fitness center, jogging track with a view and a basketball court. Fitness center equipment includes treadmills, rowing machines, stair climbers, recumbent bikes, elliptical, cross trainers and free weights. Recover and Rejuvenate in the sauna or the adults-only Solarium pool. In addition to 24-hour in-room dining you can try a new restaurant every night. 1. Oceanview Café: This international marketplace style buffet has so many options for every meal. My favorite things at the buffet for breakfast were the omelet station, french toast and Canadian bacon. The best things for lunch at the buffet included the curried butter chicken, and of course the vanilla soft serve with its many toppings (they also have additional rotating flavors). The buffet at dinner had a great selection of meats and I loved the steak, salad and also the pasta bar where you can select toppings for a custom pasta dish. 2. Qsine: This is the destination for a culinary journey. 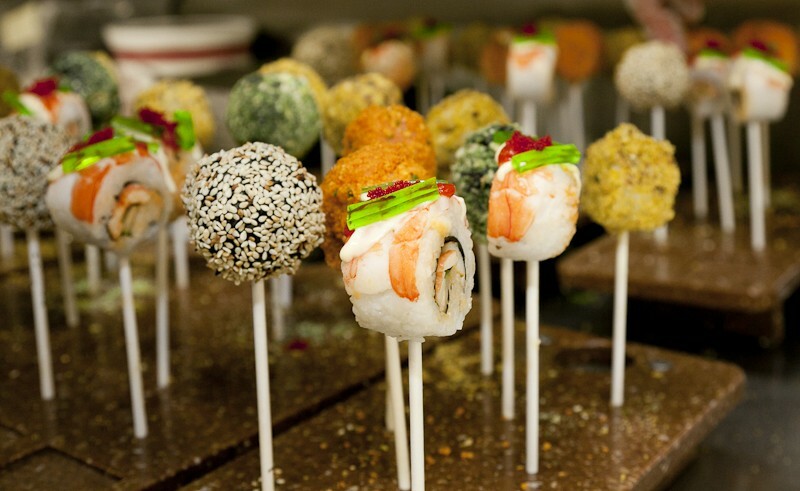 Enjoy more courses than you can count, full of twists on classic dishes and new textures, flavors and presentations, like the sushi pops! 3. Main Restaurant: This is the largest fine dining restaurant with dishes created by a Michelin-starred chef. 4. Tuscan Grille: Delight in Italian dishes you thought you knew, reinvented including handmade pasta, USDA Prime dry aged steaks and house-made Limoncello. 5. Sushi on Five: Sushi on Five has a menu of hand-made sushi rolls and even desserts like the caramelized gingerbread with wasabi gelato. 6. Spa Café: This café is great for a quick bite or a smoothie. 7. Luminae Restaurant: This is the suite class exclusive favorite restaurant, each day with always new dishes only available in this space. 8. Blu Restaurant: Lovely clean curved lines with small pops of blue set the stage for this restaurant. Best time for quiet: The quietest time on the ship was when I woke up for a walk and photos at sunrise. I highly recommend you do this once to enjoy the breathtaking views. There is also a red jogging track above the lido (pool deck), great for a run or scenic walk. It remained pretty peaceful for a few hours before most cruisers hit the pool around 12 noon. Activities: There are a variety of unique show and fitness activities available. In the theater I enjoyed live music, a ballet performance and even a barre class taught by the American Ballet Theater. Nightlife: There are a variety of restaurants open late. Most of my dinner reservations lasted at least two hours. There are six main bars. Around sunset enjoy live music and a dance party near the pool. After dinner the Martini bar is buzzing with a DJ steps away above the grand marble staircase and end your night at the club. 1. Martini: This cool ice-topped bar stole the show and was always the most popular bar before or after dinner. This is where bartenders put on a fun show while pouring your next drink. 2. Rendezvous Lounge: This is a great spot for a pre or post-dinner cocktail. 3. Café al Bacio & Gelateria: This bright yellow filled space is designed to transport you to a European café. Enjoy Lavazza espresso, French pastries or artisan gelato. 4. Cellar Masters: Wine-lovers will rejoice at the large selection of international wines, hand-picked by Celebrity sommeliers. 5. Sunset Bar: This is where you go for a drink, live music and spectacular sunset views! 6. Pool & Mast Bar: This centrally located poolside bar serves gourmet eats and drinks in the perfect place to people-watch or relax in the sun. 7. 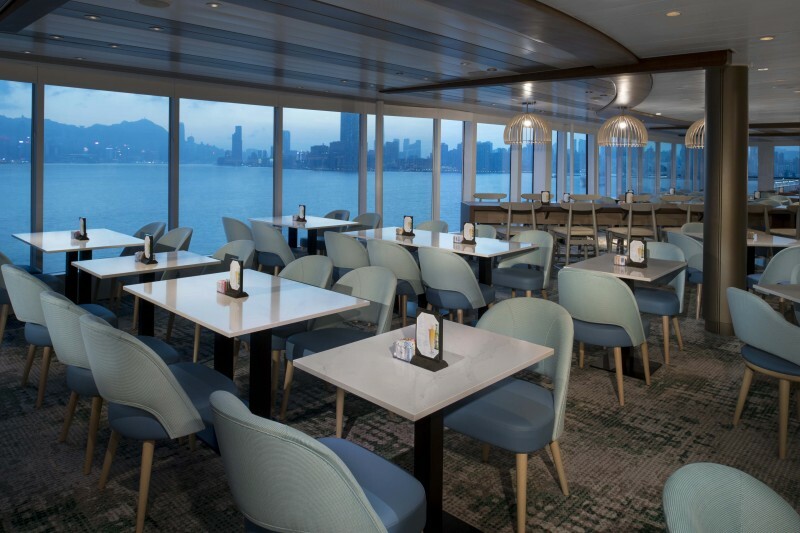 Sky Lounge: Located on deck 11 this is the place for late night dance parties. 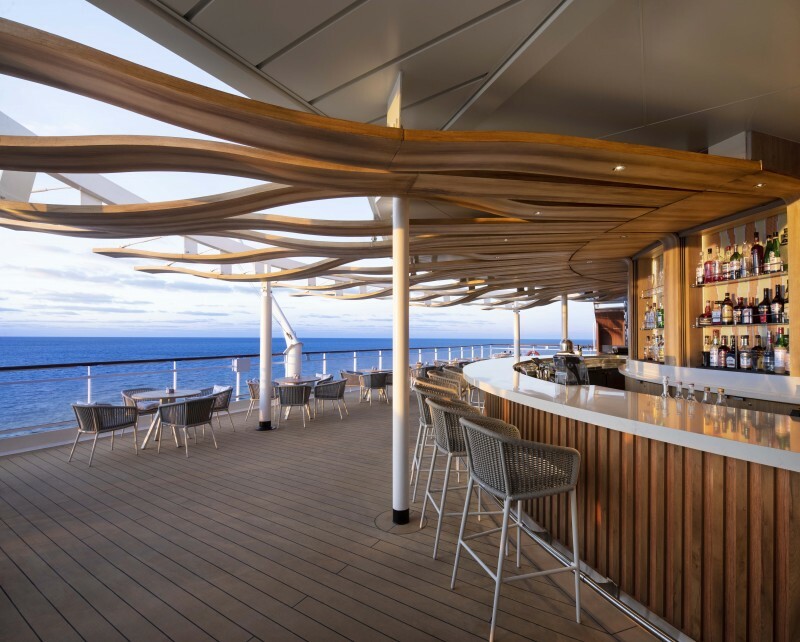 Read more on these cruise bars. 1. Backdrop behind the bed: I loved the bed’s backdrop that served as a marble-style headboard. 2. 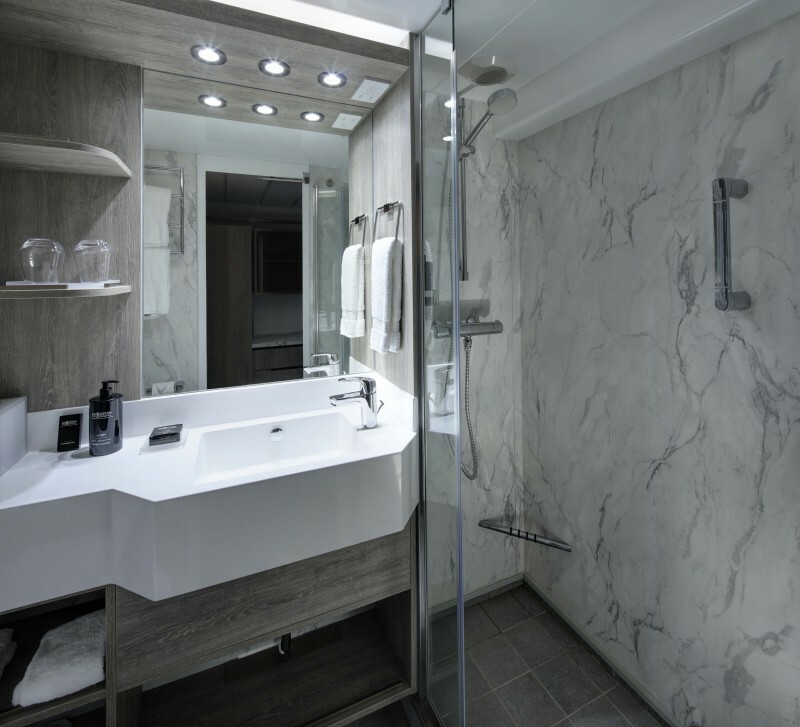 Marble: Marble details decorate the kitchenette area and the bathroom and shower! 3. Lighting fixtures: There are large overhead lights but also cute round globes of light on each side of the bed. 4. Mirrors: There is a large mirror above the desk, perfect for doing your hair. The bathroom mirror has a light around it, great for applying makeup. There is a long mirror inside the closet for checking your outfit before you leave. 5. Coral sculptures: Certain rooms and areas include a beautiful textured white coral sculpture. 6. Pink pillows: My room had a large comfy chair complete with a pop of pink, a pillow with a lovely textured design. The Verdict: I loved the ship’s new renovations, which made it feel brand new. Cruise décor can oftentimes feel dated quickly, but Kelly Hoppen’s new interior refresh was stunning. My room did not feel like a small cruise closet but instead like a roomy boutique luxury space, complete with turndown service. This is a popular ship for many reasons and a great place to take your next journey to the Caribbean or Asia. 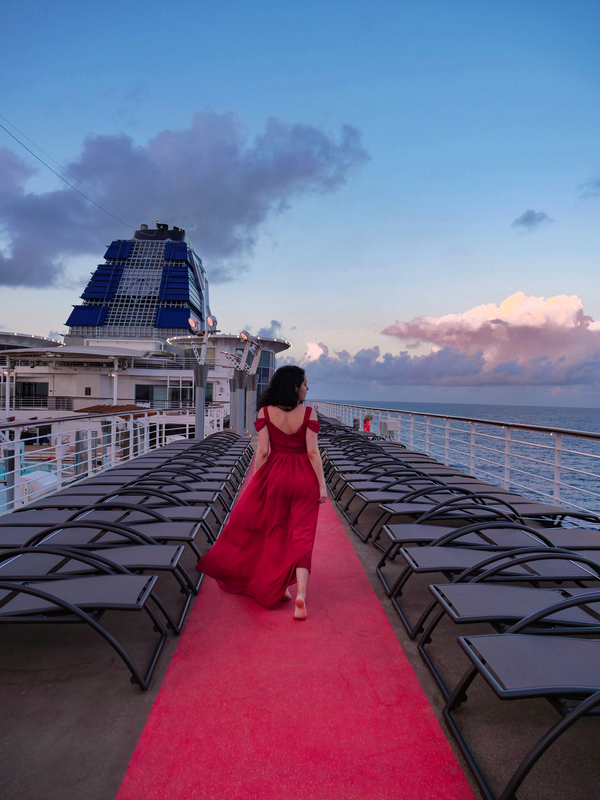 Comment down below if you’ve ever been on a cruise, which one and what you like most about the Celebrity Summit?